Security Pest Elimination will send out a licensed Pest Control Tech to perform a rodent inspection and check for mouse entry points. If a main above ground entry point is found, we can seal it with a material mice can’t chew through. Field mice will come and go through exterior openings, but house mice tend to stay inside most of the time. Note: Mouse traps are not the best way of eliminating mice. They are best used for mouse control, not mice elimination. They tend to catch just some of the careless juvenile mice, not many of the adult mice. So, using mice traps for getting rid of a mice infestation is an ongoing measure requiring constant removal of dead mice. Since our MA customers want us to rid their homes of all the mice as quickly as possible, using mouse traps is not a viable option. So, getting rid of house mice, deer mice and white footed mice inside a structure is best accomplished using the correct rodent baits in the proper locations. We have different baits for various parts of your home. Our mouse baits are very effective because they are attractive enough for the mice to eat even if they already have a food source stored inside your walls, or above your ceilings. Pet food or other food that mice have stored in your walls and ceilings can later lead to a pantry pest infestation, such as Indian meal moths and various other types of grain beetles. So, it is important to get rid of a mice infestation as quickly as possible. The best way to get rid of mice is to use the proper mouse bait for each type of location in your home. The best bait for eliminating mice in your attic might be useless for a damp garage or basement location. We have the proper baits for each location type, so the bait will be quickly eaten and last in each type of environment for an extended period of time. Note: If proper mouse baiting is done for house mice, white-footed and deer mice will also be eliminated. 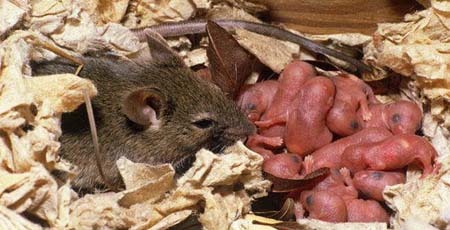 Behavioral differences may result in white-footed and deer mice carrying off and hoarding more bait than house mice normally do. For this reason we use properly designed bait stations and the correct bait formulations that will prevent this removal & relocation of mouse bait from happening. Are there Mice in your House? Also, you may hear sounds of them running, gnawing or squeaking, or see damage to stored food or materials. Don’t be surprised if your pets paw at walls and cabinets where mice are hiding. Cats will stare at walls for extended periods when they hear rodents moving within. You may find mouse droppings in various areas of your kitchen cabinets or under the counter. Look for dried urine in pots and pans. Watch for mice droppings in storage areas like garages and basements. You might not see the mice, but you can probably hear them after dark, as mice are often more active at night. Nests are usually made of materials like bits of cloth or shredded paper. You can check for mouse tracks by dusting suspected areas with a light coating of unscented talcum powder or mason’s chalk dust. Wait a day and then shine a flashlight across the area. If you notice small tracks in the powder, then you’ll know that mice have been there. There are three species of mice in New England that enter our homes (house mice, white-footed mice and deer mice). We’re all familiar with the house mouse, but its the white-footed mouse in eastern North America that is the most popular host for the bacteria that causes Lyme disease and the ticks that transmit it. It has been found to be a reservoir for the Lyme disease causing spirochete, Borrelia burgdorferi. This species is similar to the deer mouse. Like the deer mouse, the white-footed mouse may also carry the Hantaviruses, which causes severe illness in humans. In comparison to the house mice, white-footed and deer mice have larger eyes and ears. They are considered by most people to be more “attractive” than house mice, and they do not have the characteristic mousy odor of house mice. All three of these species of mice cause similar problems and require similar solutions. Mice can chew through anything softer than their teeth. Mice teeth can grow up to 5 inches a year. They often turn their destructive instincts to pipe work, structural building materials, electrical cables, thus they are the number cause of structural fires. Mice are nocturnal creatures and are rarely seen by the homeowner. When only a few mice are present in the home you might notice some droppings or hear them at night. After the mice start multiplying, they begin to get noticed running across floor areas late at night. If you see house mice in the daytime, it is an indication of a large mouse infestation. The greatest economic loss from mice is not due to how much they eat, but what must be thrown out because of contamination. Food, clothing, furniture, books and many other household items are contaminated by their droppings and urine, or damaged by their gnawing. In homes, besides fire, the real damage or harm by mice is contamination. Rodents are also the vectors of human disease, they are incontinent and consequently foul wherever they travel, their droppings and fur will contaminate food preparation surfaces and foodstuffs. Mice also spread diseases; salmonellosi, rickettsialpox and lymphocytic choriomenigitis and exposure to mice feces can cause asthma in humans. There are no methods known for successfully keeping house mice, white-footed or deer mice out of structures by means of sound. Ultrasonic devices that are commercially sold and advertised to control rodents and other pests have not proven to give satisfactory control. At best, they will just move the mice from one-wall to another. When they are full-grown they weigh between 1/2 and 1 ounce. Mouse-tails have scales that help with climbing. Their whiskers can sense smooth and rough surfaces, temperature changes and breezes. What do mice eat? 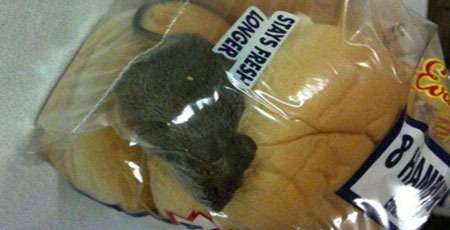 Mice will consume almost any food. 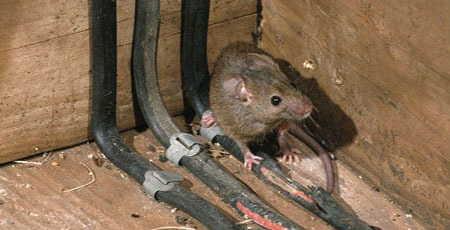 Control of brown rats usually requires multiple strategies; baiting, sometimes trapping and rat-proofing to keep them out. Call our experts at Security Pest Elimination if you have a have or suspect a rat problem. The Norway rat is extremely adaptable and once indoors can nest in wall or ceiling void, crawlspaces, attics, or inside furniture or other stored items. A young rat can gain entry to a building through an opening only slightly larger than 1/2-inch. Brown rats can travel along pipes or conduits, climb brick or rough walls, and can gnaw through various building materials including cement block. They sometimes enter buildings by traveling and swimming through sewer lines. They have been known to come straight up into our homes through the bathroom toilet. The brown rat is nocturnal and is a good swimmer, both on the surface and underwater. Brown rats live in large groups, either in burrows or subsurface places, such as sewers and cellars. Rats are known to burrow extensively. Rats generally begin a new burrow adjacent to an object or structure, as this provides a roof for the section of the burrow nearest to the ground’s surface. Thus, our cement foundations make good locations for them. 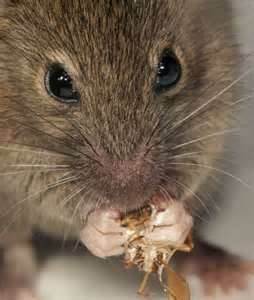 The brown rat is a true omnivore and will consume almost anything. They can chew through almost all food packaging containers. There teeth are very hard and grow continuously, so they are constantly chewing on objects to keep their teeth from growing to long. There are numerous diseases that domestic or wild rats can spread. One sometimes fatal disease that they can spread is rat-bite fever. Scratches and contact with rat urine and feces can also expose you to rat-bite fever. On February 28th, 2014 a 10 year old boy in San Diego died from a rat bite from a pet rat they recently purchased. The Humane Society of the United States notes that, aside from mosquitoes, rats carry more diseases that can be transmitted to humans than almost any other living thing. 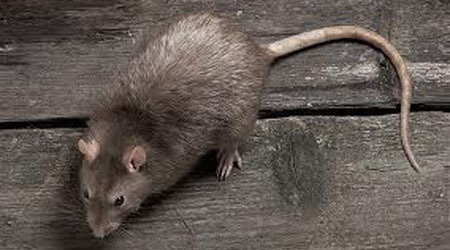 Besides rat-bite fever, some of the most common diseases rats can spread are leptospirosis, salmonellosis and plague.